19 Jan 2008. 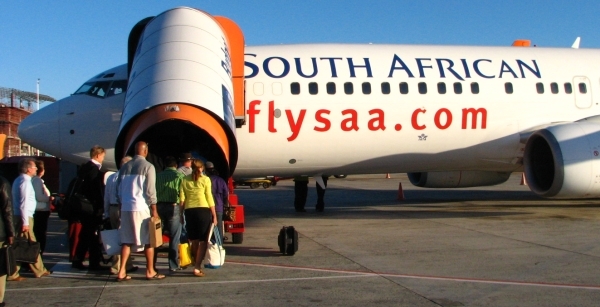 It's been a couple of months since my last review of an SAA flight. It was a clear sunny morning in Cape Town as my South African Airways flight left Cape Town International on its way to Johannesburg. 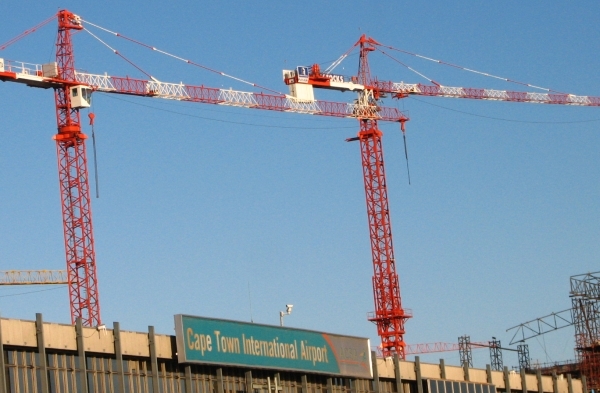 Check-in was uneventful - short queue, and my bags were booked in all the way to Mumbai, India (Bombay) - the next leg of this trip is another South African Airways flight from Johannesburg to Mumbai. 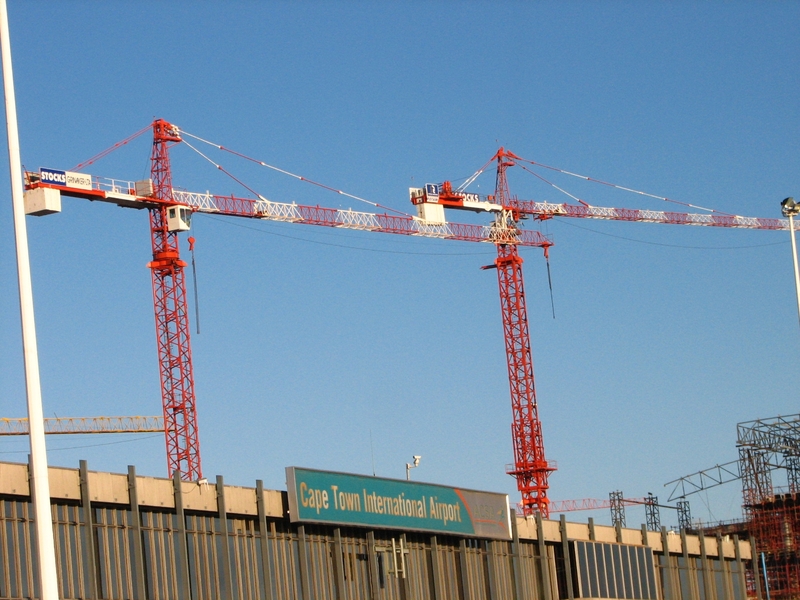 There's still plenty of building activity going on at Cape Town International Airport. The boarding procedure was a little more exciting. I was chatting away with somebody and occassionally glancing at the screen, expecting a "boarding" light or an announcement to appear to let me know when the flight was boarding. Eventually I walked over to the boarding gate and my flight was boarding even though the screen didn't think so! So much for electronics (especially when operated by ACSA!). After the bus had driven us all of 30 metres to the plane, I took a photo of the boarding of the plane. 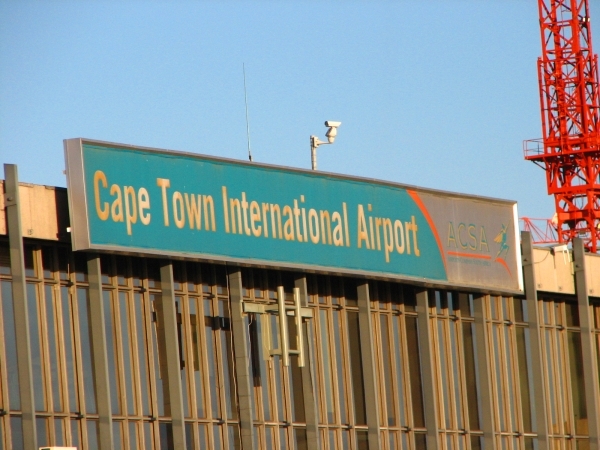 Our flight SAA 306 took off, flying into the prevailing south-east wind (nicknamed the Cape Doctor, as it blow the smog away). I was seated at the emergency exit (which made me feel a bit better, since my comrades were on the other side of money curtain. Funnily enough the middle seat of the emergency exit row wasn't taken (it's all good!). On the flipside, all the good seats had already been booked for my next flight from Johannesburg to Mumbai. I have mentioned before that I think that British Airways meals are better than South African Airways. With it being a 7am flight to Johannesburg, I enjoyed an SAA breakfast consisting of orange juice, sweetened yoghurt and fruit. I'd forgotten to book a vegeterian meal, and this was the last fruity breakfast available (the rest were bacon and eggs). The breakfast was good, although I prefer unsweetened yoghurt.